This month, my 20th book with Harlequin releases, and it's a Heartwarming! Since I haven't done a proper Sit Down where I introduce myself, I thought it might be time. So without further ado, my name is Patricia Johns. I'm Canadian. I grew up as a the daughter of a minister and we moved around every two or three years, so I saw a lot of Canada and parts of the US, too. I loved writing stories since I was young, and I went on to get a degree in English Literature from University of Toronto. I wrote for some smaller presses under different names, but my first book with Harlequin came out in July 2013. There was no looking back! I've been married to the same sweet guy for 14 years, and we have an 11-year-old son. 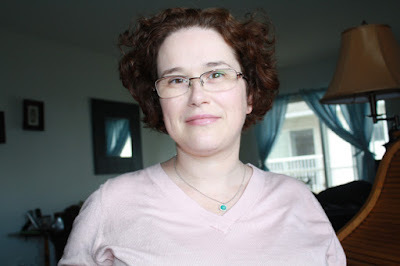 I currently write for Harlequin Heartwarming, Harlequin Love inspired, and for Kensington Books. I love my desk, and a I spend a LOT of time at it! 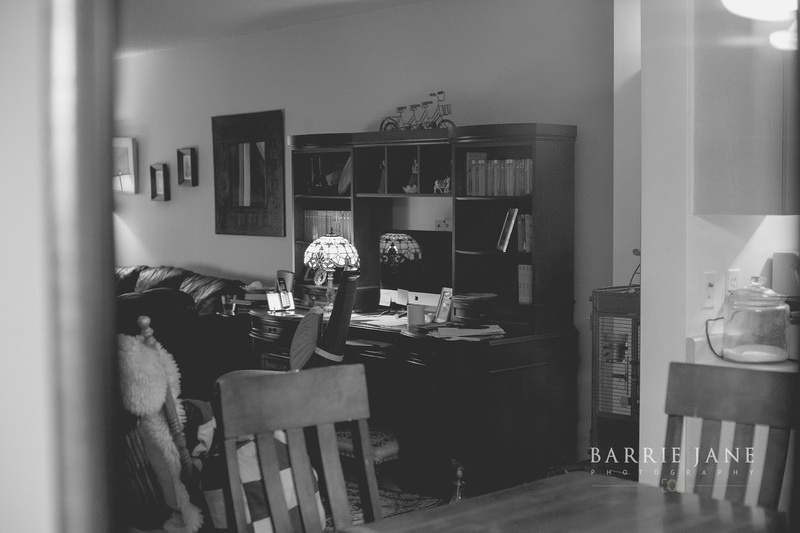 I write full time, so at least 8 hours a day is spent in front of my computer. How will you celebrate your 20th Harlequin? Today, I'm having a special dinner with my family--my parents, my husband and son. We're having cake. My husband even bought me a scarf I've been eyeing for the longest time. I needed something tangible to celebrate this milestone! What about this 20th release? 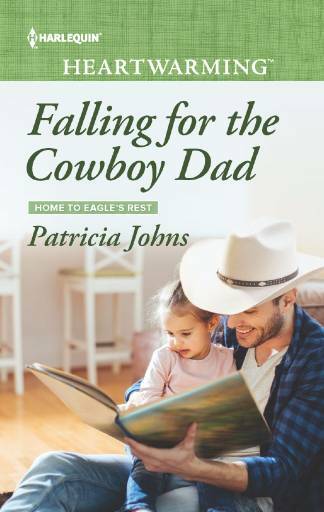 Falling for the Cowboy Dad is a story about about cowboy who has a surprise child dropped off on his doorstep. Not only is she a little girl, but she's absolutely brilliant. Billy Austin is more than intimidated--he's terrified! He has a lot to make up for, and his little girl loves nothing more than being read to... and he's never been a very good reader. Thanks for introducing yourself--and your writing space. It's lovely and inviting. Since you have an extremely impressive record, it obviously works for you. My next Heartwarming has a single dad theme, too, so I'm especially interested in your story. Have fun marking your milestone, and that book scarf is such a thoughtful gift! Thank you, Virginia! And that's neat that your next release is a single dad story, too. :) They sure do make for some sweet heroes. I'm so looking forward to reading the book when it arrives in my subscription. Your desk is very neat when I compared it to my messy one. I need to bring in a dump truck. Stuff stacks up so fast. Congrats on your 20th for HQ and for writing in various lines. It must be the distance, because there's a lot of paper on my desk ALL the time. I'm old fashioned and keep jotting down notes etc on paper. 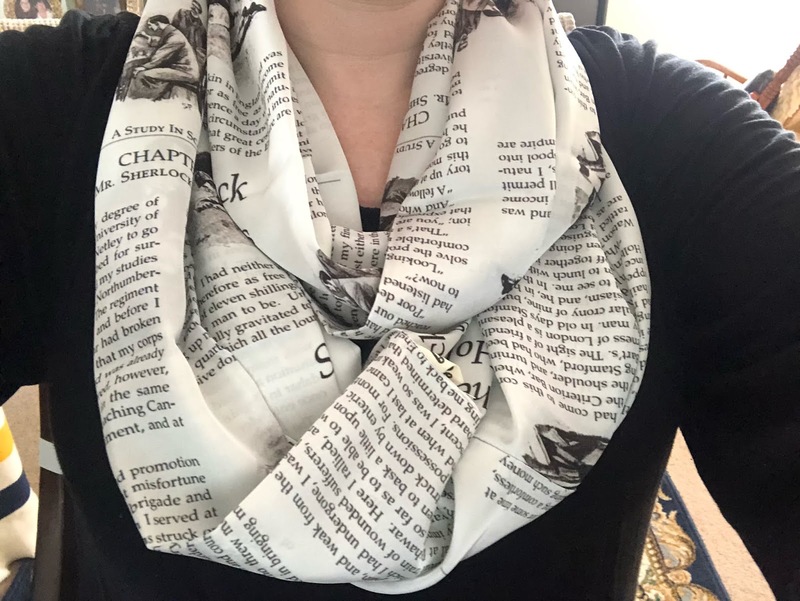 Love that scarf -almost as much as I love that cover. Seeing someone read to a child always makes my heart happy. I'm looking forward to reading the story. Congratulations on your 20th! Not sure which to compliment first, Patricia, the scarf or the book cover. Both are wonderful and congratulations on number 20 in just 6 years! Awesome! All the best from a fellow Canuck. Thanks so much, Janice! LOL! And thank you for appreciating the scarf. I'm quite excited about it, too!